Bruce Cohen’s poems and non-fiction essays have appeared in well over a hundred literary periodicals such as AGNI, The Georgia Review, The Harvard Review, Ploughshares, Poetry, Prairie Schooner & The Southern Review as well as being featured on Poetry Daily & Verse Daily—He has published three acclaimed volumes of poetry: Disloyal Yo-Yo (Dream Horse Press), which was awarded the 2007 Orphic Poetry Prize, Swerve (Black Lawrence Press) and Placebo Junkies Conspiring with the Half-Asleep (Black Lawrence Press). 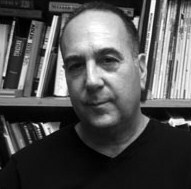 A recipient of an individual artist grant from the Connecticut Commission on Culture & Tourism, prior to joining the Creative Writing faculty at the University of Connecticut in 2012, he directed, developed, and implemented nationally recognized academic enhancement programs for the last thirty years at the University of Arizona, The University of California at Berkeley, and the University of Connecticut. This is certainly a poetic blog post that poses curious questions. I admire poets because they are able to create such depth, meaning, and beauty within a shorter form than that of a short story. I think it’s important for all writers and poets (and people) to read both fiction/nonfiction and stories. I’ve been told time and time again that poets are masters of language, because they are able to manipulate words into poems. Like Mai-Quyen said, this is such a poetic post. I’ve always struggled with poetry because it frustrates me when I don’t understand it. This post has made me realize that there is beauty in that confusion. Life is confusing and hard to understand, so it makes sense that writing would reflect that. It’s fantastic to hear how a poet approaches new poetry, and that maybe even some of the best poets do not understand everything instantly. Like April, I too shied away from poetry because of the fear of missing the deep insightful meaning. However, Cohen’s post proves that the beauty may rely in the ruminations on the poem, how the inability to instantly understand it is exactly why it was written. Thank you all for sharing your thoughts, opinions and experiences. Very insightful post. I stumbled onto writing poems when my pastor challenged everyone to do something for the greater good. Like previous posters, at times I’m lost in the message but that’s what pushes me to read and re-read the poem at hand. Thanks for this blog post. I like this interstellar love note to poetry.